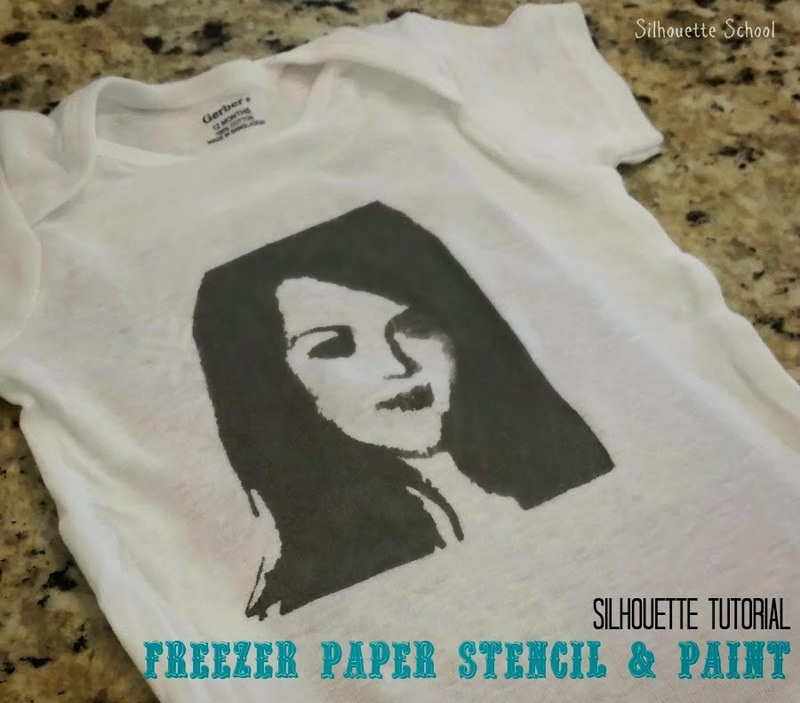 Let's talk today about how much I love freezer paper for stencils, shall we?! 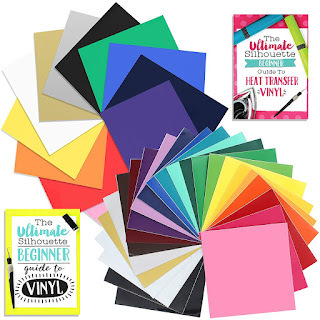 I'm not the only one who thinks this stuff is great.... Gabriella from The Single Yet Married Mom blog shares my love for freezer paper. 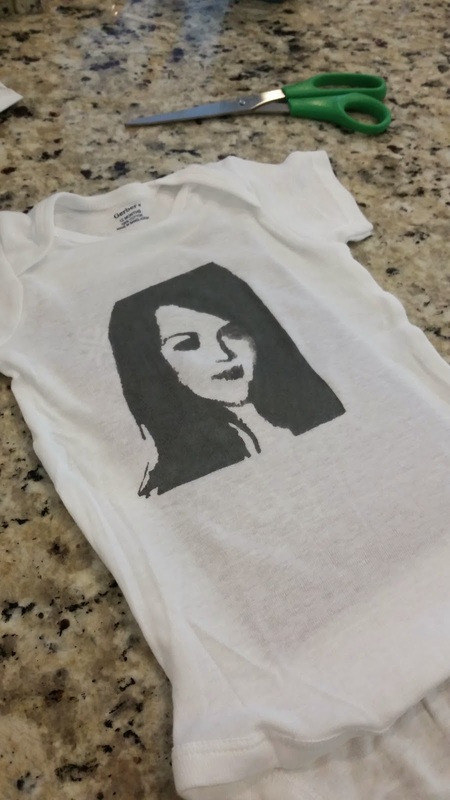 She's here today to share a fun tutorial on how to use a freezer paper stencil to make custom t-shirt designs. Hi! I'm Gabriella from The Single Yet Married Mom blog. 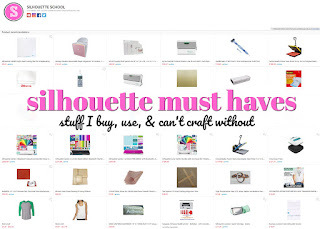 I have had my Silhouette Cameo since Christmas of this year, and I have to say - I am obsessed. 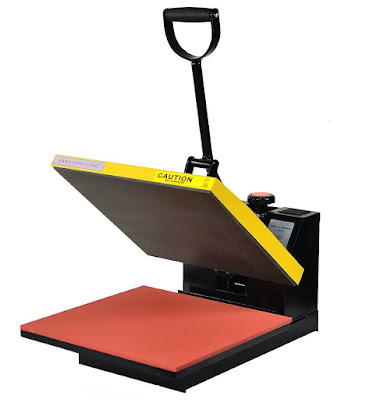 From designing signs and nursery art, using it to address letters in fancy calligraphy, to even applying vinyl on fabric - this thing does it all; and I've yet to even really skim the waters with this awesome machine! I have been dying to get my sewing machine out and doing some fabric appliques, but I haven't gone out to get any new fabric in a while. What I do have lying around my house however, is a ton of acrylic paint. I really think I have 2 of literally every color that was available in Michael's! I also have a large amount of freezer paper on hand - so I thought, why not paint onto fabric? I really love the ease of vinyl, but sometimes a little diversity in my closet would be nice. I decided that my first acrylic paint fabric artwork would be for my best friend's daughter. Not only does this momma LOVE the White Stripes (and maybe a slight obsession with Jack White), but her favorite song is Jolene. 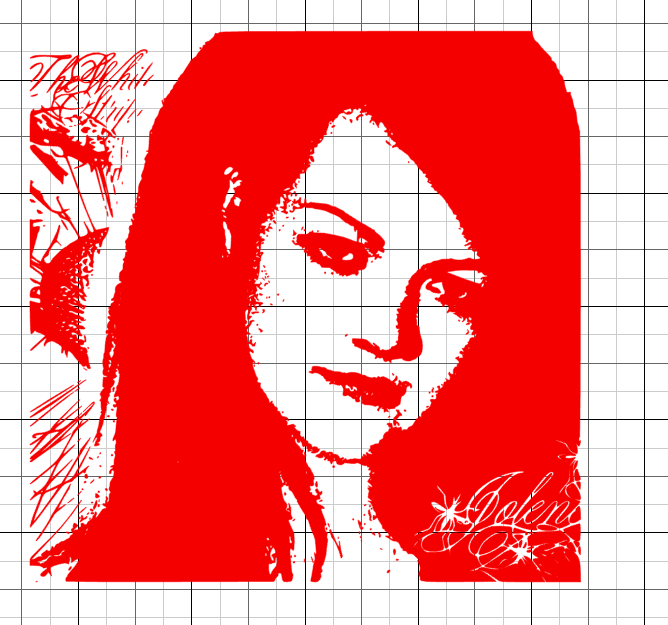 The White Stripes had a vinyl record released with an image of Meg White (at least, it REALLLLY looks like her) and the name "Jolene" in her hair. I decided that's what I would do on a baby onesie. EPIC. Now, before you assume you'll need fancy Adobe Illustrator to do a nice trace of this image, you are so wrong! Here is a screen shot of a trace from Silhouette Studio. 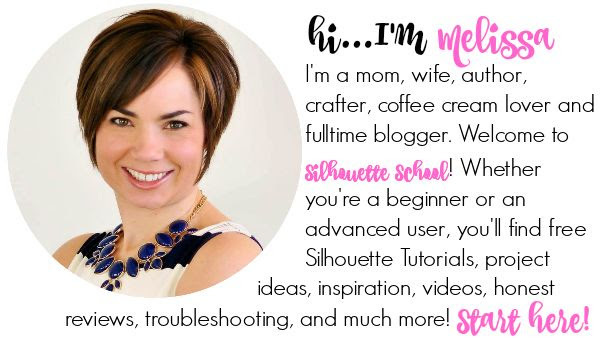 If you need a refresher on tracing photos, check out this tutorial on Silhouette School. 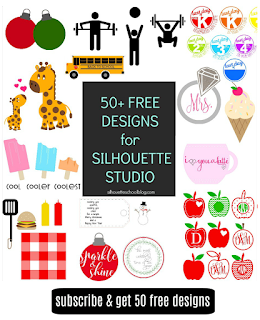 After you've traced your image, go ahead and cut it on freezer paper with your Silhouette. 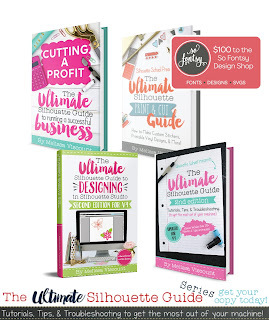 In Melissa's ebook, The Ultimate Silhouette Guide, she recommends cutting the freezer paper with the shiny side down with cut settings: Blade: 1, Speed 3, Thickness 2. 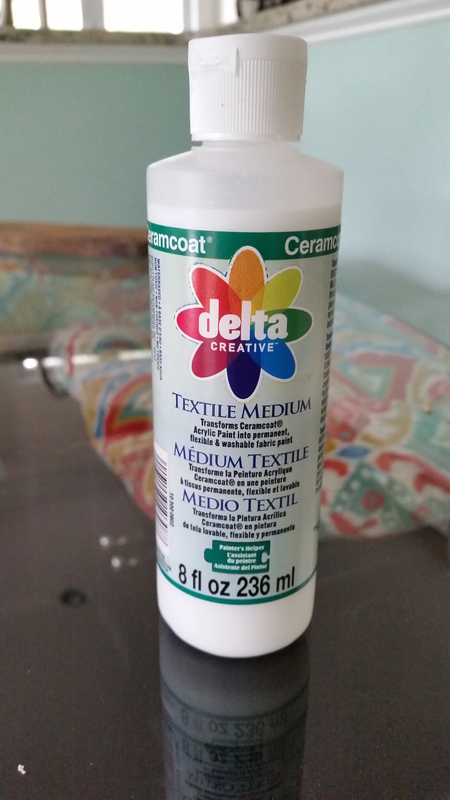 Make sure you read the instructions on your textile medium when mixing this with your acrylic paint. Mine says 2:1. 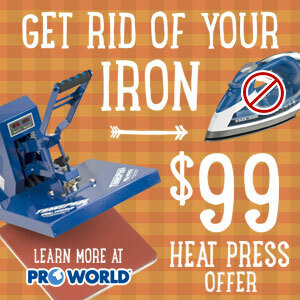 Place your cut out freezer paper stencil onto your fabric (shiny side down), and iron on your freezer paper. This allows the freezer paper to adhere to the clothing so you can be a bit messy with your paint, and it will help prevent bleeding. You can also prevent a lot of bleeding by using a small quantity of paint at a time. Don't slather it on there. Patience is a virtue here! Using a foam brush, dab your paint onto the fabric until you have reached your desired look. I would wait about 3 hours to make sure the paint has dried onto the fabric, and then you can peel off the freezer paper. Again, slow and steady wins the race. That's it! You have your awesome new design. Hi Jessica! It's Gabriela from Single Yet Married Mom. I do use my cutting mat for contact paper, but I use an older one that isn't very sticky for the same reason you mention - it will just rip up my contact paper if it's too new of a mat. I suggest having 1 mat that you've taken a t-shirt and rubbed down so it's not very sticky and either using a very small amount of tape on the 4 corners just to keep it in place. I hope this helps! Very well written post,this is a nice fashion related website.You have mentioned nice method of cleaning fabric.I must say you have done a great job in writing this article. I am glad to ran into professional essay writing service review. It helps me boosting my grades.